1. Men are more likely to give up on a queue than women. Men start to inflate the amount of time they believe they have waited after two minutes. Women give it three minutes. 2. The term “faffing” refers to the time delay when a person gathers their things after paying at checkout. The average faffing time is 3.17 seconds. 3. 65% of all retail sales are bought on impulse. In other words, they are not planned purchases, but something the shopper decided on purchasing at some point during their excursion. 4. Once a wait lasts longer than three minutes, the perceived wait time multiplies with each passing minute. After five minutes pass, perceived wait time is doubled. 5. A shopper or manager can calculate the expected wait time in any queue using Little’s Law, the formula created by John D.C. Little. The formula is: Average Wait Time = Average Number of People in Line ÷ Arrival Rate. For example, if there are 8 people already in line with about 2 customers entering the line per minute, the average wait time would be about 4 minutes. 6. People overestimate their wait time by 23% when they are not told how long their wait will be. 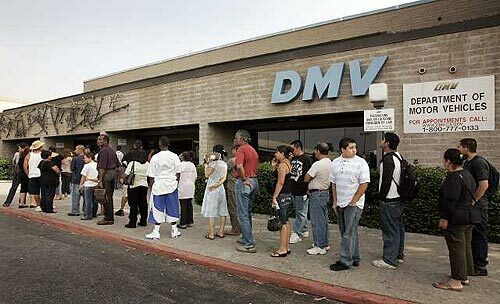 For example, if the actual wait time at the DMV is 13 minutes, people assume it will take around 16 minutes. That’s why we suggest using a sign to tell your customers approximately how long they can expect to wait. 7. The term “reneging” refers to a customer leaving a queue that they believe they have spent too much time in. 8. A single-file line leading to three cashiers is about three times faster than one line for each cashier. This is called unified, or single-line queueing, and it’s something we really believe in. Click here for more information on the proven effectiveness of unified queues. 9. 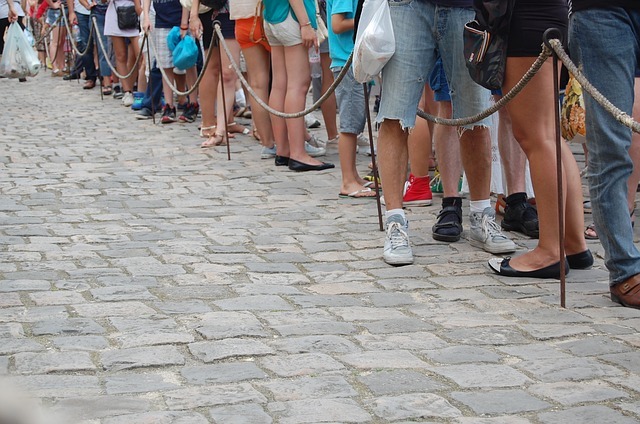 The “balking index” is a scientific formula that calculates the number of people who will abandon the queue (or renege) in a given time period. This helps managers determine the number of staff needed to properly service their customers. 10. And just for fun, we’ll add this last little fact about the word “queue:” Queue is the only word in the English language that is still pronounced the same way when the last four letters are removed.